This story was originally featured in La Gente’s Winter 2018 Incarceration Issue. From handcuffs to cap and gowns. Growing up in low-income communities and inner cities, most of us have been affected by mass incarceration, but what has been done to reintegrate individuals back into society or academia? In an era where the United States incarcerates individuals at higher rates than the rest of the world, an organization at UCLA is doing its due diligence to reduce the recidivism rate. 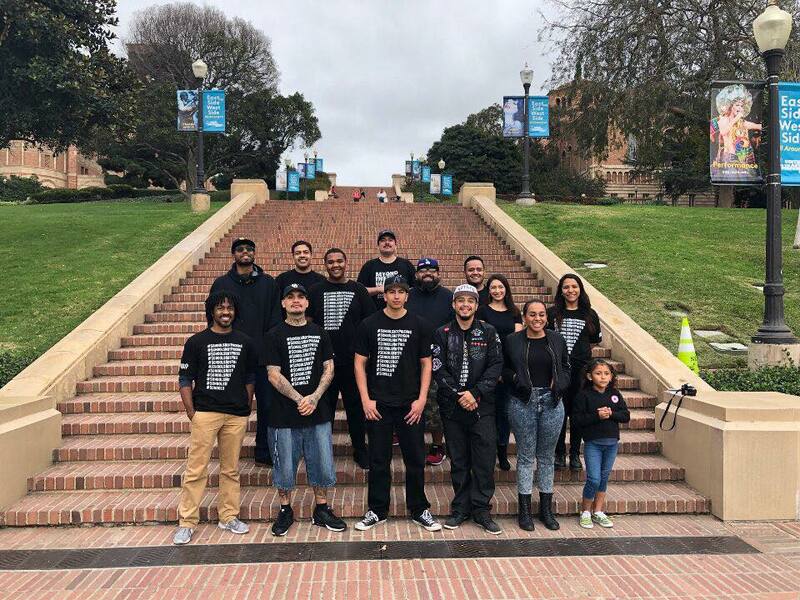 The Underground Scholars Initiative (USI) is a student organization that serves as a campus resource here at UCLA for formerly incarcerated and system-impacted students. The organization supports students who have been directly and indirectly affected by mass incarceration through recruitment, retention, and advocacy. USI, originally founded at UC Berkeley in 2013, started its own chapter here at UCLA in 2016 in response to the growing number of formerly incarcerated students. USI organizes around campus and does outreach in the community; it provides prospective incoming transfer students who have been previously incarcerated with numerous resources. In the past, they have provided tours to the Homegirl and Homeboy Scholars of Santa Monica College and transfer workshops in collaboration with admissions. 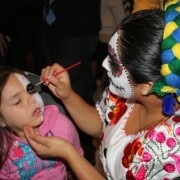 As the organization grows, so does its involvement in the community. In addition, USI also reaches out to folks coming out of prison with college credits to assist with the reentry process into the education system. The model of USI is to reverse the School-to-Prison-Pipeline by building a Prison-to-School-Pipeline and creating a trajectory to attain a higher education. According to the ACLU, the school-to-prison pipeline is explained as “‘Zero-tolerance’ policies that criminalize minor infractions of school rules, while cops in schools lead to students being criminalized for behavior that should be handled within school grounds. Students of color are especially vulnerable to push-out trends and the discriminatory application of discipline.” The school-to-prison pipeline is an existing problem in many inner cities. USI aims to lower the recidivism rate through education and challenge the stigma accompanying these individuals. There is currently a large body of USI members at UCLA and the organization keeps recruiting. The organization is important because as previously mentioned, it provides resources that the formerly incarcerated lack. Also, it provides a healing space and a sense of belonging at an elite university like UCLA. For instance, Daniel Cisneros, a fourth-year undergraduate Chemical Engineering major and formerly incarcerated student says, “when I was introduced to the Underground Scholars, it gave me a space where I felt comfortable with people from my background and upbringing, prior to that, walking around campus I felt like I didn’t belong.” He mentioned that his first year as a transfer was difficult for him until he found The Underground Scholars community. USI allows formerly incarcerated individuals like Daniel to openly disclose and embrace their identity to help assist others. Furthermore, Javier Rodriguez, a first-year masters student, double bruin and Social Welfare major says the importance of USI is to create a healing space on campus to assist formerly incarcerated students. During this time of healing, members go around the room introducing themselves through ice breakers. Ice breakers include stating their name, major, year, and how their day and/or week is going. New members are alway welcome to the space. Meetings usually are on Thursdays from 6:00pm to 7:30pm in the Public Affairs Building, room 3343. These events include organizing for the official FITE film screening, which took place in November 2017. FITE is an acronym for “From Incarceration To Education,” which was a movie filmed with The Underground Scholars from UC Berkeley. Their next event is called “Just Culture,” and will be taking place in Wilson Plaza on March 25th, 2018. “Just Culture” is a concert and community gathering to raise awareness for formerly incarcerated students. In addition, it is also a space for people of color to enjoy their culture, as underrepresented communities in an elite institution, while addressing systemic barriers. Cultural representation of Latino/a and Black communities will be present on this day, along with cultural elements that include musical performances, live art, classic cars, and vending. Last year in 2016 twelve members of USI graduated here at UCLA, and one member, Jose Ortega, passed away a unit short from graduating due to a heart attack, though the words he once said live on: “In the hood, you either go to jail or you die, I chose school.” The same mentality, diligence, and techniques used in the streets can be used in higher education to make one successful. Ortega was also honored the evening of the FITE film. USI’s mission is to spread across the UC systems and ultimately branch off to all higher education institutions in an effort to further assist formerly incarcerated individuals in academia!